Cancun is the perfect destination for families looking to get away. Whether you’re looking for a place to relax or seeking adventure, this Yucatan hot spot has it all. The Cancun weather is perfect year round, and families can enjoy its gorgeous beaches, archaeological ruins, and adventure parks. There are plenty of resorts to enjoy, but if you want to get out and explore, here are the best things to do with kids in Cancun. It may seem obvious to head to the beach in Cancun, but not every beach is created equal. For a change of scenery from the hotel pool, head to Playa Tortugas. This is a favorite Cancun beach for families because the waves are small, the water is shallow, and there is a lot of activity. There’s bungee jumping from a nearby tower, volleyball courts, and snorkeling. Beachfront restaurants and lounge chairs dot the sand allowing parents to enjoy the view while kids play. Another popular beach is Playa Delfines outside the hotel zone. The beach offers free umbrellas, so bring towels and secure a spot early. Life guards monitor the beach during the day, offering an extra set of eyes for parents. There are no restaurants on the beach, so bring your own snacks or try something from one of the local vendors selling food along the beach. Isla Mujeres, a quick 20 minute boat ride from Cancun, is known for its beautiful crushed coral beaches and turquoise blue water. It’s the perfect place for snorkeling with the kids and spending a day at the beach. 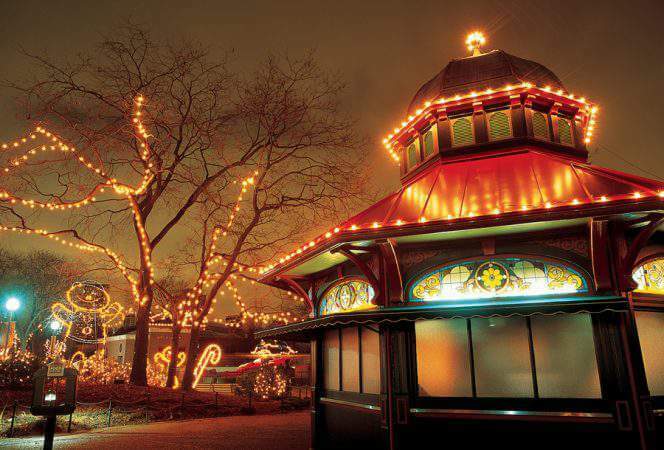 Visitors can get around by foot, or rent a bicycle or golf cart. The island is compact and easy to navigate. Kids will enjoy a visit to the Tortugranja (Turtle Farm), a sanctuary where they breed sea turtles that are released into the local waters. Finish the day with shopping and delicious fresh seafood from any of the restaurants. 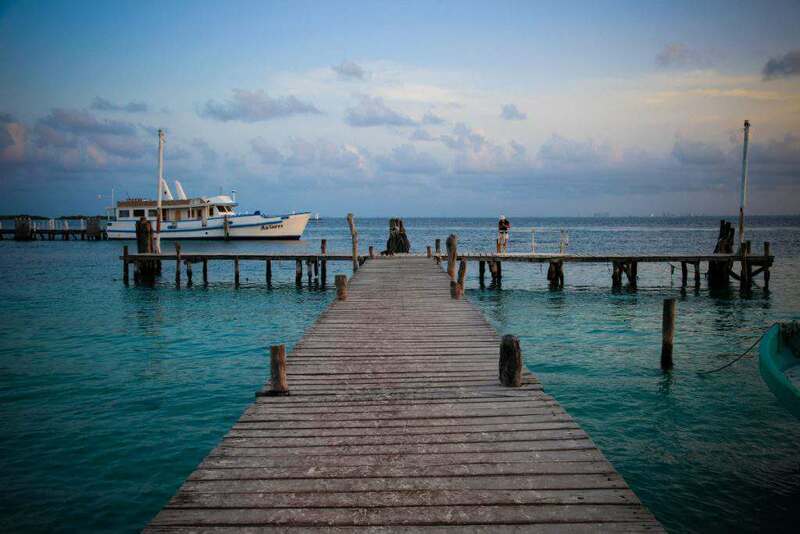 *Tip: There are several places to catch the ferry in Cancun. Take the ferry from Puerto Juarez, it’s cheaper than the hotel zone. Or if you prefer, book a catamaran trip and try some snorkeling along the way. One of the best known eco adventure parks in the area is Xcaret Cancun, an eco-archaeological theme park with over 50 attractions. Plan on spending an entire day at this park which features a snorkeling tour, swimming in underground rivers, and archaeological sites. 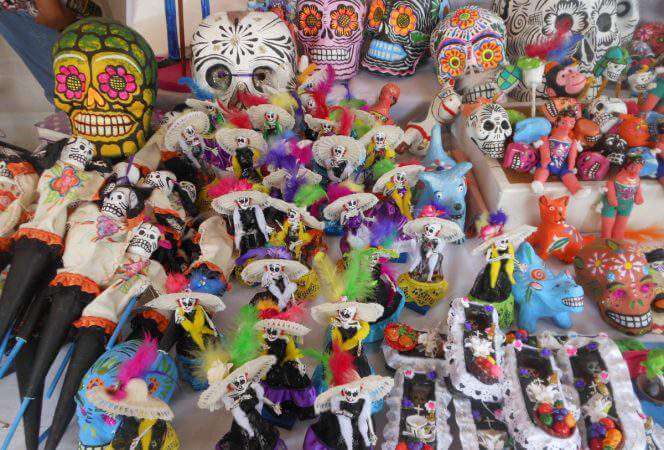 There are also traditional Mayan performances, animals, food, and a night time light show. Something for everyone! Be sure to catch a show at Xcaret! 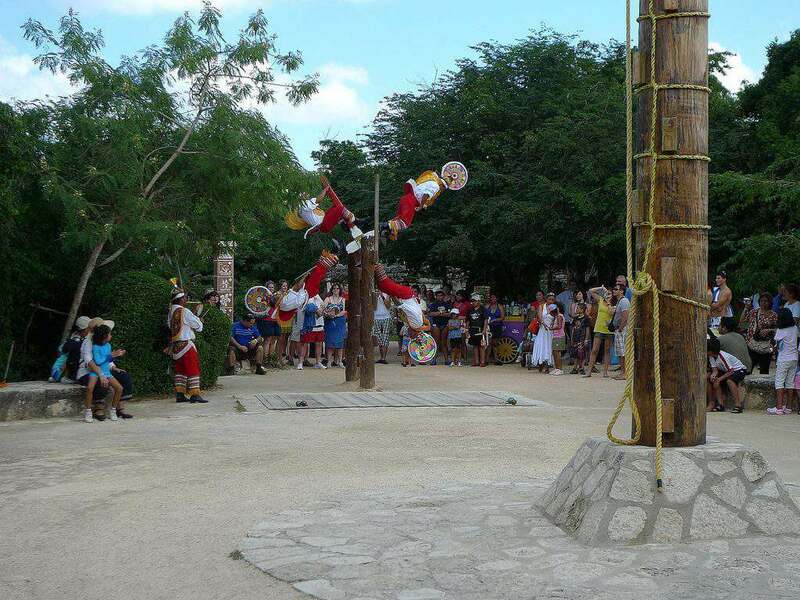 Xel-Ha is another adventure park in Riviera Maya located on the Caribbean Sea. The park offers snorkeling in its cove and cenotes (underwater caves), cliff jumping, zip lines, and a kid friendly obstacle course. There are manatee and sting ray encounters as well as snuba activities. Definitely a full day of adventure for families. Xplor is located right next to Xcaret, but focuses more on exploring underground. Visitors can zip-line, ride in amphibious vehicles, swim in underground rivers, and try spelunking. At night the park transforms into Xplor Fuego with fun adventures like zip lining in a hammock and swimming on a lava stream! 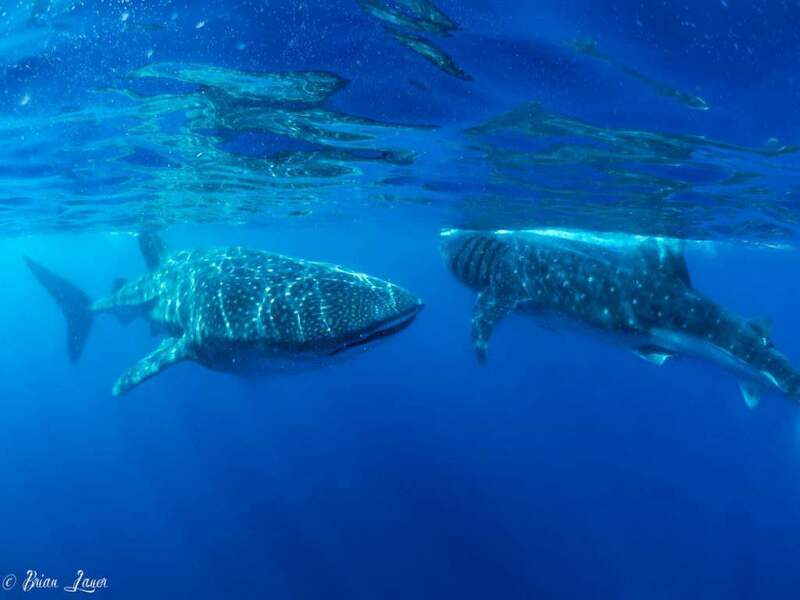 Visitors can usually find whale sharks in Cancun from mid-March to mid-September. There are plenty of Cancun tours to book, and boats head out to Isla Mujeres, Holbox, and Isla Contoy. What’s not to love about swimming with gentle giants of the sea? If your timing is good, don’t miss a chance to swim with the whale sharks! Most of the Mayan ruins are a long drive from the hotel zone, so we would recommend visiting with older children. Take a guided tour of Chichén Itzá, just over 2.5 hours driving from Cancun. Here you will learn about the ancient Mayan civilization while touring this UNESCO World Heritage site. Another option is to explore the Mayan ruins at Tulum, about 2 hours from Cancun. 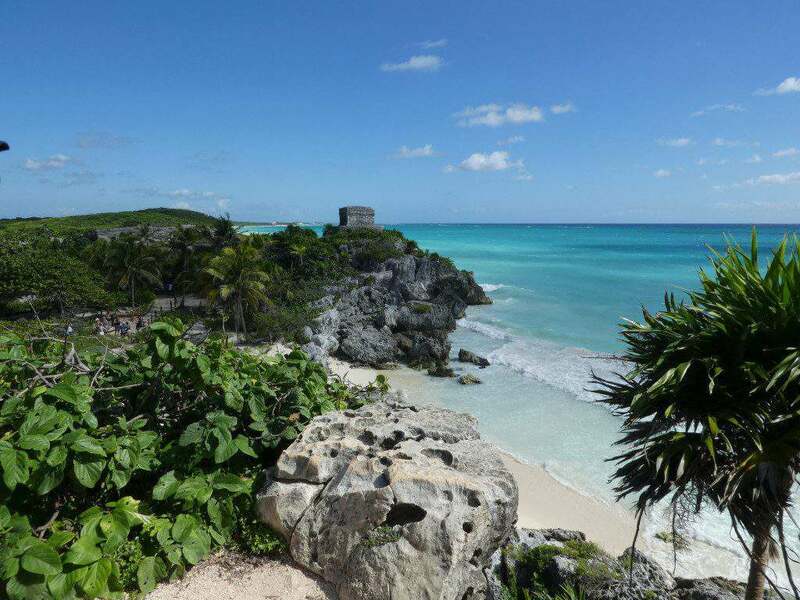 The setting of Tulum is stunning, a walled Mayan site majestically overlooking the sea. Go early, walk the ruins, and spend some time relaxing at the beach. The trip from Cancun to Cozumel is an hour long car ride, plus a forty five minute ferry, but if you have the chance to go to snorkel at El Cielo beach, take it. 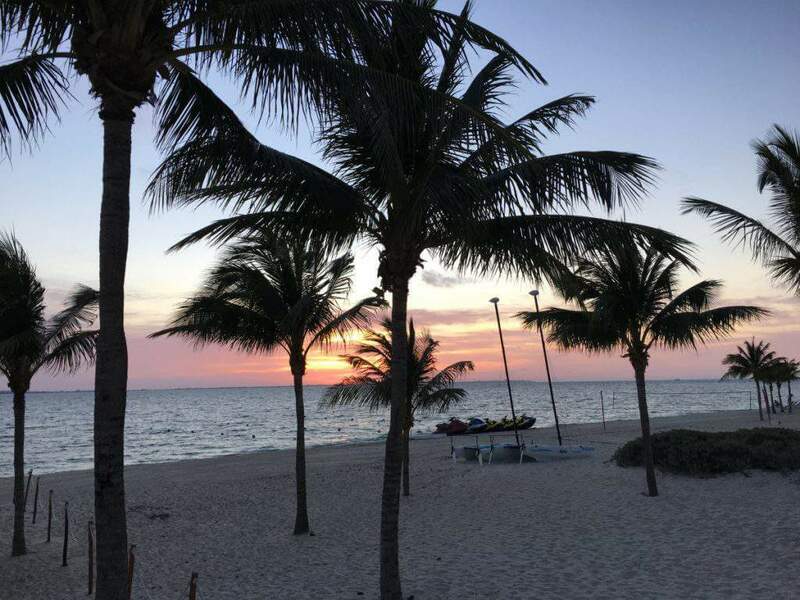 El Cielo is located on the southwest side of the island and the water there is very shallow, allowing for prime viewing of the resident starfish and sting rays. Several companies offer a chance to get off the beaten path with an ATV jungle or beach adventure. These typically take place in the jungle landscape of Cozumel and can involve anything from a simple tour to a full day experience. 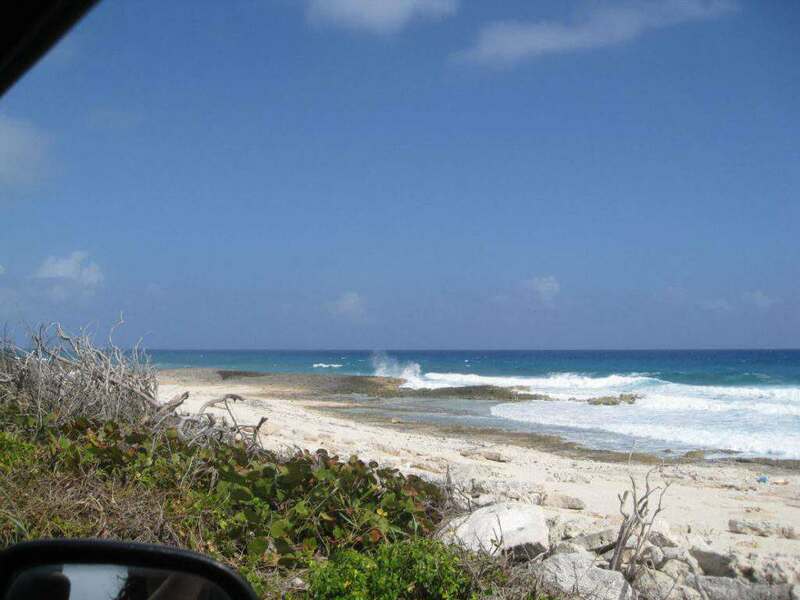 This Jeep tour takes visitors off roading before taking a snorkeling tour of the world’s second largest reef. If ATVs are more your speed, there are several companies offering jungle tours through the palm trees with opportunities to see caverns and cenotes along the way. Cenotes are natural swimming holes found throughout the Yucatan peninsula. They are made when limestone collapses and reveals these hidden pools of water underneath. 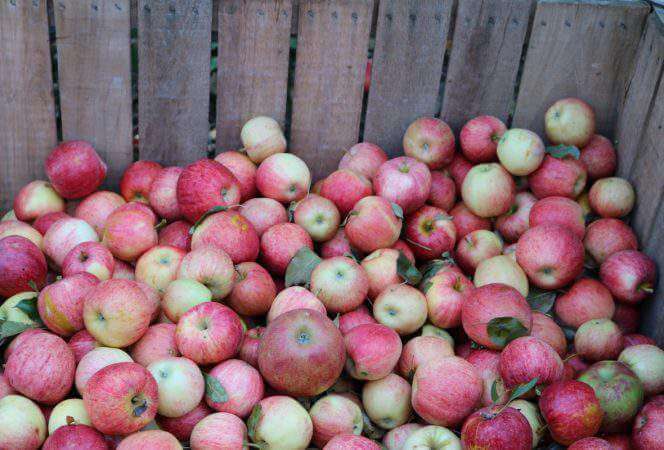 They are perfect for families to explore. Xenotes Oasis Maya Tour takes you to four different cenotes, each with its own personality. Families can enjoy fun activities like kayaking, zip-lines, rappelling, and snorkeling. 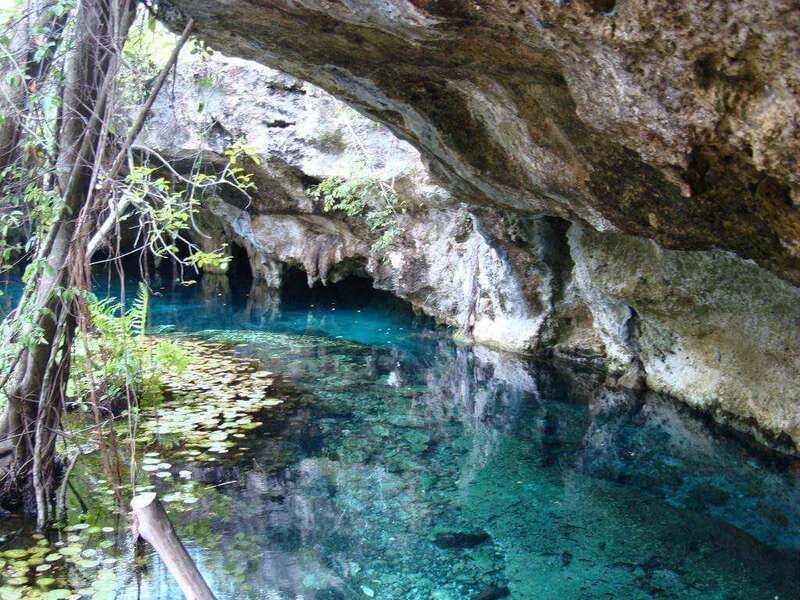 Another option is to take a tour to some of the better known cenotes, like Dos Ojos, Cenote Azul, and Gran Cenote. Be sure to bring water shoes for hiking and swimming. If you’re looking for a Cancun all inclusive resort, we would highly recommend Finest Playa Mujeres. This all inclusive resort in Cancun checks all the boxes for families headed to the area. Other properties we enjoy include: Grand Fiesta Americana Coral Beach, Grand Velas Riviera Maya, and Nizuc Resort and Spa.